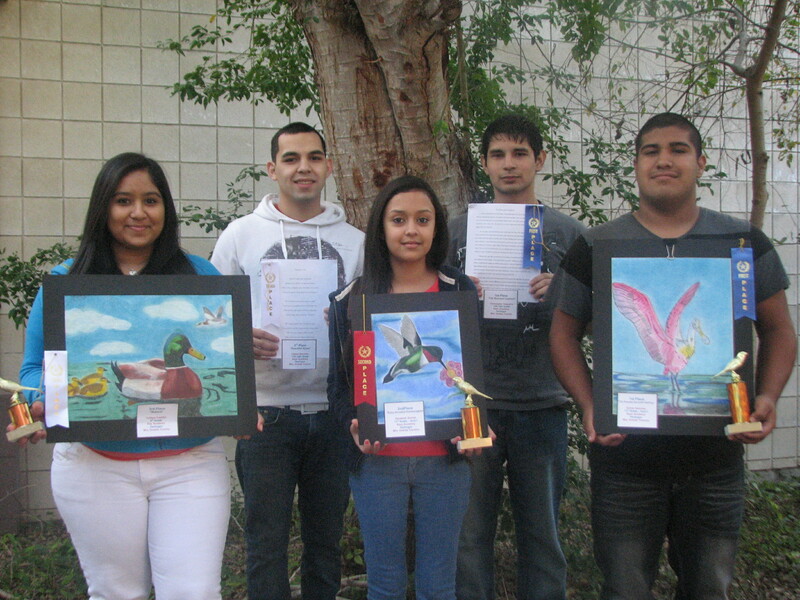 The students at KEYS Academy took home top honors for their artistic abilities at the 2012 Valley Morning Star/Rio Grande Valley Birding Festival. Adrian Sanchez received first place and Elizabeth Gomez took home second place in the Art 1 category. Christopher Yzaguirre received first placed for his essay “Bronzed Cow-bird” in the Creative Writing category. “I’m very proud of my students who not only represented KEYS Academy, but the entire Harlingen Consolidated Independent School District as well,” said Oneida Trevino, art instructor at KEYS. Over the past decade, the RGV has become recognized as one of the top birding destinations in the United States. The festival is an annual gathering for bird enthusiast to come together to celebrate the species indigenous to the lower Texas region.